How do we know what matter is made of? The quest for the atom has been a long one, beginning 2,400 years ago with the work of a Greek philosopher and later continued by a Quaker and a few Nobel Prize-winning scientists. Theresa Doud details the history of atomic theory. Lesson by Theresa Doud, animation by TED-Ed. Ever wonder what would happen if humans could not digest our food? Our STEAM After School students at Kairos learned about owls and their inability to digest bones by dissecting Owl Pellets. With the help of The Academy of 21st Century Learning's STEAM tutor, David, they found rat skulls and learned about jaws and different types and purpose of teeth! 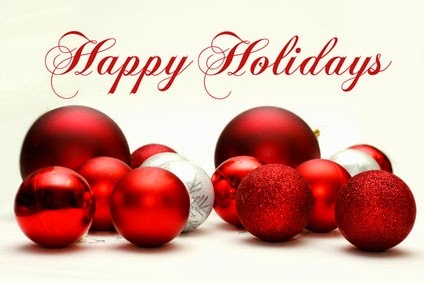 Happy Holidays from The Academy of 21st Century Learning! It’s hard to escape childhood without racking up a few scars. Why do these leftover reminders of a painful cut or crash look different from the rest of our skin? And why do they stick around for so long after the incident that caused them? Sarthak Sinha explains how scars form. Lesson by Sarthak Sinha, animation by Karrot Animation. As a biochemistry major and pre-med student, Tommy specializes in tutoring math and science, but he believes that it is important to be a well-rounded student. While algebra and geometry often aren’t favorite subjects, he thinks that enthusiasm and energy can make them enjoyable. If learning is fun, students will never want to stop! Tommy likes to think that work ethic and time management are the most important tools to becoming proficient in any subject. Whether a student is struggling in math, chemistry, or writing, putting in the extra time is the first step to improvement. This means occasionally spending those few free hours in the day studying instead of with friends. It is also important to make the most out of that time by studying smart, which means avoiding distractions and making the best use of resources. Tommy believes that private tutoring is a great way for a student to most effectively utilize their study time, and ultimately develop strong study skills for the future. Tommy has had a passion for helping those around him since he was a child, bringing his neighbors’ groceries up the stairs. He has volunteered in the medical field for several years; first in the Emergency Room at Good Samaritan Hospital in Los Gatos, CA. Currently, he works at Imani Clinic, an entirely student-run health clinic that focuses on providing care to the uninsured community at Oak Park in Sacramento. He began tutoring as part of a UC Davis club called Tutors for a Change; together, the club carpools to high schools in Yolo County that do not have the resources to hire paid tutors. When he was able to help students finally solve a tough geometry proof or work through algebra concepts they previously struggled with, he knew this was something he wanted to continue doing. Tommy is glad to be able to improve his skills and to help more students succeed as part of the team at the Academy of 21st Century Learning. My nightstand is topped with a record player, a stereo, and speakers. After a long day, I like to unwind by lying down, closing my eyes, and filling my room with music! If you were stuck on a deserted island, what three things would you bring? I would bring a barbeque, a lawn chair, and some steaks. Until the rescue boats came, I would enjoy a relaxing beach vacation. A math tutor can help your child to gain understanding of new mathematics concepts. Your reasons for needing a tutor may vary from those of another family. Because math is such a vital function, a home tutor can help your child get the help she needs. It isn't necessary to block out an hour once or twice a week for your child to get the most benefit from a tutor. She may only need occasional help when she confronts new math concepts. Or, she might be reviewing material she's learned in the past so she can take college entrance exams and do well. Stay in regular contact with your child's tutor and adjust it as she needs so extra support is available. While math is a specialized topic, it isn't necessary for your child's home tutor to be a teacher holding a current teaching certification. Teaching and tutoring use different sets of skills. An effective math tutor who is consistent in helping her students knows how to communicate. He is also patient, knows what he is teaching and cheerful. Your child should feel comfortable working with him. When you hire a tutor, don't expect him to sit next to your child and coach her through each of her math assignment problems. That is not his role. Homework is a supplemental activity intended to reinforce classroom learning. A tutor helps his students find ways of doing math that work for them. In short, he works to help them become independent thinkers. Hiring a tutor based on his hourly rate isn't the best way to select someone to work with your child. If he isn't as effective as he could be, you'll wind up spending more money than you had budgeted. Instead, interview tutoring agencies and ask them who their most successful tutors are. The more effective tutor will be in your home fewer times per week, and for shorter sessions. It's not very effective to hire a math tutor when your child is on the verge of failing a math class. Even when she is having an easy time with the material being taught, you should have a home tutor coming in and reinforcing current and past learning material. Setting the groundwork for academic success is important, so set aside time for a tutor to come in and work with your child. Sure, she may need to come home early sometimes, but when she can demonstrate mastery of a difficult subject, she might actually have more time for those extracurricular activities she enjoys, such as sports, cheer or spending time with friends. When she can do the work more quickly, she won't have to spend long hours on math homework. The Tutor Bright team aims to provide your child with the highest level of instruction and try to put a lifelong passion for learning. We provide tutor for elementary grades, high school & exam prep students in Toronto and surrounding areas. When you breathe, you transport oxygen to the body’s cells to keep them working, while also clearing your system of the carbon dioxide that this work generates. How do we accomplish this crucial and complex task without even thinking about it? Emma Bryce takes us into the lungs to investigate how they help keep us alive. Lesson by Emma Bryce, animation by Andrew Zimbelman for The Foreign Correspondents' Club. Who Was the First Man to Walk on the Moon? When you learned this fact for the first time, was it this much fun? Keeping in mind his ultimate goal of becoming a physician researcher, Mark dedicates himself to thoroughly understanding his coursework and challenging his peers and students to achieve their best through hard work and perseverance. Starting with helping his junior pre-medical peers to excel in their classwork, Mark has continued to influence those around him; he volunteers with the Reading with Children program at a local elementary school and is an undergraduate biochemistry teaching assistant at UC Davis. Throughout such involvement with the community, Mark’s goals for each of his students have remained the same: 1) form a strong knowledge base of core concepts to build upon, 2) develop strong time-management skills, and 3) nurture the development of critical thinking and problem solving. Mark teaches students that every difficult problem can be broken down into simpler ones, and knowing the intricacies of the simple problems is quintessential to solving the tougher ones. As a self-professed lover of puzzles, Mark has always viewed the breaking down of such problems as a fun challenge. His infectious enthusiasm for such challenges encourages students to take on difficult problems, and seeing their success is one of the greatest joys he has been rewarded with. What is one surprising fact about you? I still own the Nintendo 64 I had in my childhood and play games on it every once in a while. My favorite game on this system is Super Smash Brothers and in high school I managed to win $50 in a tournament by playing this game. If I were stuck on a deserted island, I would bring a sailboat, a water purification device and a satellite phone. I would use these items to get unstuck from the deserted island and make my way back home. There’s a factory inside you that weighs about 1.4 kilograms and runs for 24 hours a day. It’s your liver: the heaviest organ in your body, which simultaneously acts as a storehouse, a manufacturing hub, and a processing plant. Emma Bryce gives a crash course on the liver and how it helps keep us alive.